Newegg's graphics card sale has a bunch of ho-hum prices, but we've found three graphics cards we think you'll like. It’s a September to Remember according to Newegg’s deal mailer today, which is promoting the retailer’s one-day graphics card saleRemove non-product link. Overall, we’d say this sale isn’t really one to remember, but we did find a few smoking-hot deals amid the ho-hum prices. Here are our top picks from the sale. All of today’s prices require the checkout code EMCPYET37. If you don’t already receive Newegg’s daily deal email, you may have to provide the retailer with your email address to get the deal. 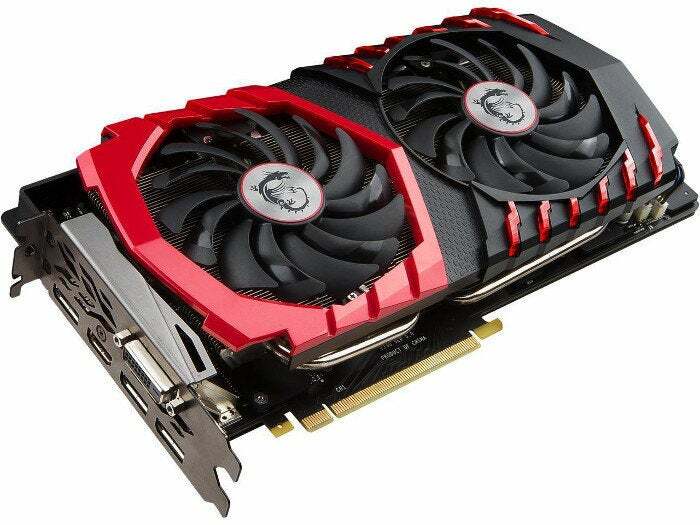 First up is a Gigabyte Radeon RX 570 for about $170Remove non-product link. Right now, our threshold for considering an RX 570 as on sale is anything under $200, so this is a fantastic price. In fact, even at $190 without the checkout code it meets our requirements. The Radeon RX 570 is a great card for 1080p gaming, and this model is eligible for AMD’s Raise the Game promotion that offers three free games with the purchase of an RX 570 or RX 580: Assassin’s Creed Odyssey, Star Control: Origins, and Strange Brigade. Newegg’s sale also has two flavors of Nvidia’s GeForce GTX 1070 series on sale at pretty sweet prices. The EVGA GTX 1070 FTW2 is available for $360Remove non-product link and an MSI GTX 1070 Ti Gaming is $432Remove non-product link. Both models pack very highly regarded custom cooling solutions, too. The EVGA card costs $70 more on Amazon right now, and the MSI card is about $50 more on Amazon, so these are very solid deals. The GTX 1070 is a great choice for screaming 1080p gaming at 144Hz or 1440p gaming at 60fps. The GTX 1070 Ti, meanwhile, is a better option if you want to game at higher speeds at 1440p resolution. For the more bold, however, the 1070 Ti can actually eke out performance on par with a $500 GTX 1080, which would make it an okay entry-level 4K graphics card too in some games. All you have to do is use overclock the card with software such as MSI Afterburner or EVGA Precision XOC. We’ve got a guide to overclocking your graphics card to show you how it’s done.